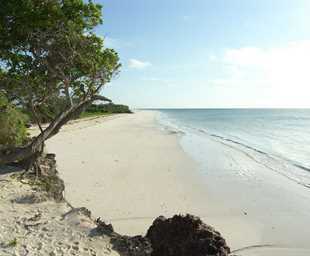 From Mombasa and further south, the Kenyan coast is lined with white sandy beaches and the warm waters of the Indian Ocean. Here the wilderness meets the sea, and the ocean holds a world of spectacular coral reefs teeming with life and colour. The coast is a place with a long and exotic history, its calm waters the traditional passage of the Arabian Spice Trade. Along the length of this coast, Arab and Portuguese forts, Old Towns and the overgrown, deserted ruins of Swahili outposts bear witness to this fascinating history. In the winding medieval streets and bustling markets of Mombasa Old Town, life has continued unhurried and unchanged for more than 400 years. Nairobi is Africa’s 4th largest city and is a vibrant and exciting place and although it has developed a reputation which keeps tourist visits brief there are some fascinating attractions: its café culture, unbridled nightlife, the National Museum, the Karen Blixen Museum and most notably just 20 minutes from the city centre wild lions and buffalo roam in the world’s only urban game reserve. Mara North Conservancy is a beautiful private wilderness area of more than 74,000 acres. It is home to a spectacular array of plants, reptiles, birds and mammals; including elephant, rhino, buffalo, lion, leopard, cheetah and large concentrations of wildebeest, zebra, gazelle and other migratory wildlife. Leopard Gorge, in the heart of the conservancy, is famous as the setting of countless BBC Big Cat Diaries and National Geographic documentaries. Bordering the Maasai Mara National Reserve, the conservancy is vital for sustaining the famous Serengeti wildebeest migrations and the highly threatened African wild dog and black rhino. Situated in the same location for 20 years, Elephant Pepper Camp itself is one of the original small and exclusive safari-style tented camps, with ten charmingly furnished canvas ensuite tents. Paying homage to the traditional safari experience of old, Elephant Pepper Camp in its elegant simplicity brings people back to the heart of the wilderness. Elephant Pepper Camp boasts highly experienced and knowledgeable guides and an elite fleet of custom safari vehicles, to ensure that your wildlife experience in the Maasai Mara is gives you memories for life. Especially for honeymooners, Elephant Pepper Camp’s incredibly spacious honeymoon tents with views over the Masai Mara plains and a salt lick frequented by visiting elephants. Each 100m2 Honeymoon Tent consists of one spacious main bedroom, a separate lounge area/bedroom, ensuite bathroom, large veranda with seating and dining area, and a private campfire. 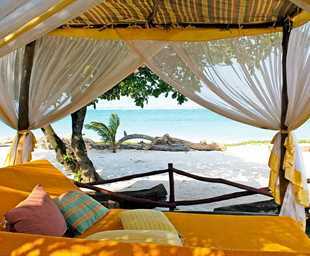 Famous for its gorgeous palm trees and its powder white sand lapped by glistening azure waters, Diani beach is a popular resort area resting on Kenya’s magnificent Indian Ocean shoreline. The area’s wonderfully warm waters and exquisite coral reefs provide an ideal environment for an array of exhilarating water-based activities including snorkeling, scuba diving and boat safaris where you can witness the richly diverse marine life for which the southern coast of Kenya is known. You're likely to see turtles, mantas, barracuda. 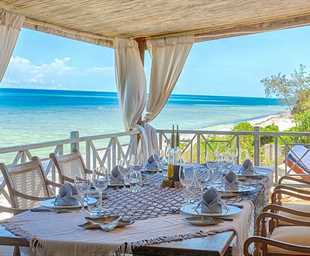 For honeymooners, AfroChic Diani offers gorgeous, private rooms and suites, blending the best in luxury hotel charm with the natural beauty of the surroundings, this stunning villa-style hotel has the added bonus of being located right on the white sandy beaches of the Indian Ocean. 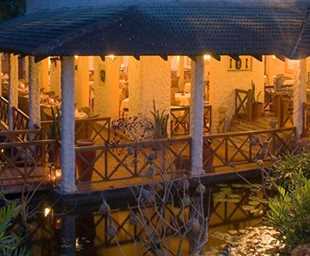 With beautiful landscaped gardens, a stunning outdoor pool, and gazebos right on the beach, this is a great place for an indulgent trip to Kenya. 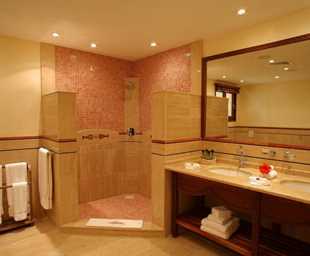 AfroChic Diani has an enticing outdoor swimming pool with massage jets and just over the lush landscaped gardens lies the inviting white sands of Diani Beach. AfroChic's two-level gazebo is a pleasant spot to relax, take a massage or dine in front of the ocean.